Over recent decades, John W. Dower, one of America's preeminent historians, has addressed the roots and consequences of war from multiple perspectives. In War Without Mercy, winner of the National Book Critics Circle Award, he described and analyzed the brutality that attended World War II in the Pacific, as seen from both the Japanese and the American sides. Embracing Defeat, winner of the Pulitzer Prize and the National Book Award, dealt with Japan's struggle to start over in a shattered land in the immediate aftermath of the Pacific War, when the defeated country was occupied by the U.S.-led Allied powers. Turning to an even larger canvas, Dower now examines the cultures of war revealed by four powerful events-Pearl Harbor, Hiroshima, 9-11, and the invasion of Iraq in the name of a war on terror. The list of issues examined and themes explored is wide-ranging: failures of intelligence and imagination, wars of choice and 'strategic imbecilities,' faith-based secular thinking as well as more overtly holy wars, the targeting of noncombatants, and the almost irresistible logic-and allure-of mass destruction. Dower's new work also sets the U.S. occupations of Japan and Iraq side by side in strikingly original ways. 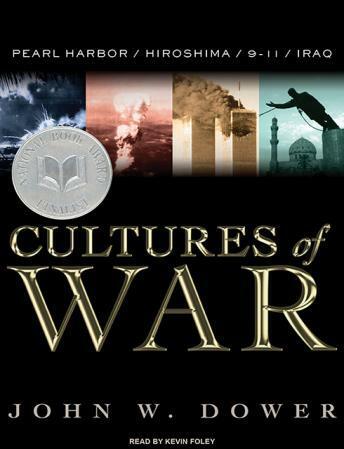 One of the most important books of this decade, Cultures of War offers comparative insights into individual and institutional behavior and pathologies that transcend 'cultures' in the more traditional sense and that ultimately go beyond war-making alone.